A lot of activities around Linking Open Data (“LOD”) and the associated data sets which are nicely visualised as a “cloud” are going on for quite a while now. It is exciting to see how the rather academic “Semantic Web” and all the work which is associated with this disruptive technology can be transformed now into real business use cases. For insiders it is clear, that the “openness” of data, especially in commercial settings, can be controlled and has to be controlled in many cases. Which means, it can be one-way or mutual. In some use cases data from companies will be put into the cloud, and can be opened up for many purposes, in other use cases it will stay inside the boundaries. In other scenarios only (open) data from the web will be consumed and linked with corporate data, but no data will be exposed to the world (except the fact, that data was consumed by an entity). And of course: In many other occasions datasets and repositories will be opened up partly depending on the CCs and the underlying privacy regulations one wants to use. I´ll be happy to have a lively discussion about this topic also at the first Linked Data Camp in Vienna. 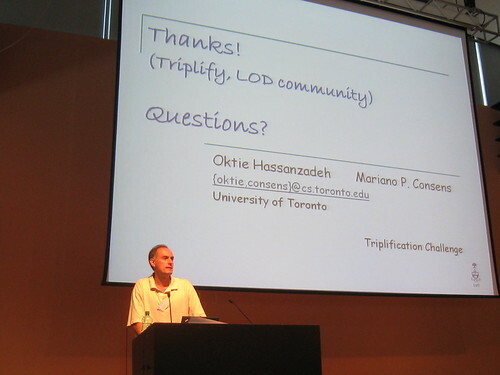 When Mariano Consens explained at this year´s Triplify Challenge @ I-Semantics in Graz how he built together with Oktie Hassanzadeh the winning project “Linked Movie Database“, one important thing became clear to me: Linked Data isn´t just a playground anymore, no: it´s a very efficient way to build useful applications standing on the shoulders of giants. Congratulations to the winners! The Semantic Web has evolved constantly over the last few years. Nevertheless, in many cases I have experienced a huge demand for profound knowledge in this area. Many potential end-users of semantic web technologies have quite a few ideas of how to apply semantic web, but still many software-projects will never happen, because of the lack of knowledge, because of the fear of getting trapped by too complex technologies. Obviously it´s not the technology anymore but the awareness and personal knowledge about the semantic web, which is the actual bottleneck for the semantic web getting real. The Semantic Web Company (SWC) is offering in 12 daily seminars a training-course for persons who want to become a Web expert. Participants get step by step advanced in methods and technologies for semantic projects. Each seminar is a stand-alone-module and can also be booked singularly. 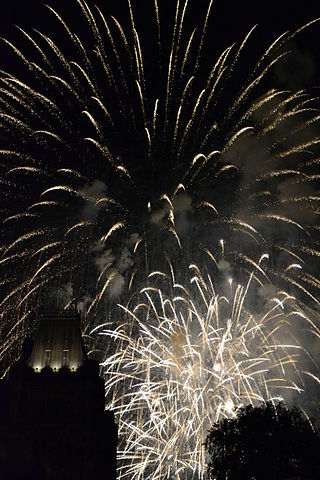 From 27th of Mai to 4th of July 2008 the SWC curriculum will take place. A special focus will be on applications and solutions of semantic technologies to support social processes. The modules will take place at the Austrian Computer Society in Vienna. The main language in the courses is German. English courses can be provided on demand. As mentioned on Read/WriteWeb there are at least 10 (rather commercial) semantic web applications “around” which claim to use semantic web technologies for different purposes: “10 Semantic Apps to Watch”. (Besides this at least 100 prototypes from various research programms exist in this field). Twine isn´t organising the “knowledge of the whole world” (like Google would like to do) they rather focus on the users themselves: Using a semantic graph (including the social graph) for each user, information in a social network will flow in a more efficient way. Information will come to the users instead of searching around. Twine is a combination of many of the well known Web 2.0 applications like Facebook or del.icio.us but will use base technologies from the semantic web and will provide a SPARQL API and a REST API. Semantic Web database technologies (Triple stores) are still very young. Although some of the existing systems have already proved that they are scalable none of them have been used so far for really big systems. Talis mission sounds great, and its success depends a lot on how this company will be able to build an ecosystem around its services. My forecast: Talis will be acquired in 2009 by one of the big web companies. Talis tries to establish a new way of organizing information flows throughout the Web of Data. Since it relies on open standard protocols like RESTful Web Services a lot of applications will use Talis technologies. Talis as a company has a well founded background since it has been provided services for governmental organizations or libraries for the last 30 years. Some of the people working at Talis rank among the best semantic web thinkers. (Clearforest was acquired by Reuters) was bought by Thomson. ClearForest’s technology automatically categorizes documents and structures entities contained inside text. The Semantic Web without text extraction algorithms which really work will never take place. And Clearforest really works. Just try it out! Clearforest is well embedded in a giant: Thomson is the world´s largest media company. This is, of course a great opportunity to sell these new kind of semantic solutions to many of the global Top 5000. On the other hand, it might be a risk since “traditional” media companies still tend to forget about the long tail and open APIs. Simply spoken, the USP of Clearforest is that the technology works and it can be integrated into existing architectures without being a semantic web expert. It can become one of the cornerstones of an integrated corporate semantic web architecture.